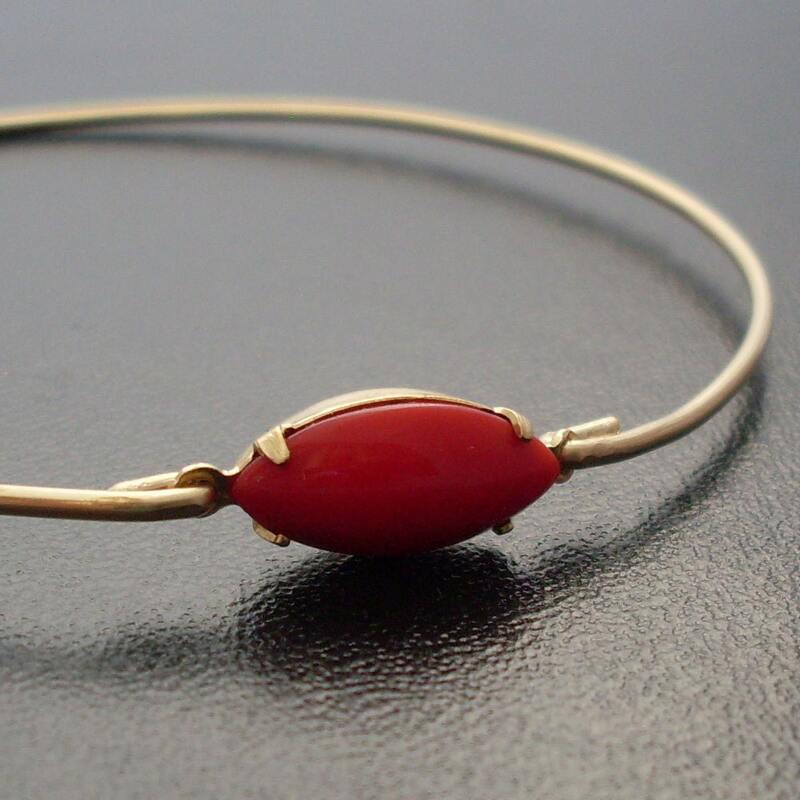 A vintage bright red smooth stone in a brass setting has been transformed into a delicate bangle with choice of brass or silver filled bangle band. 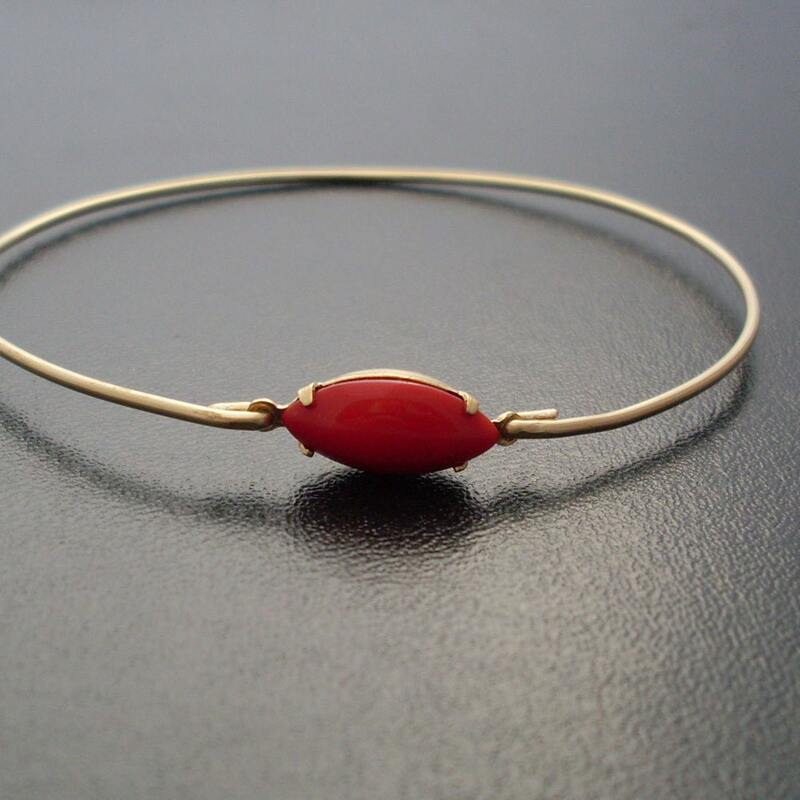 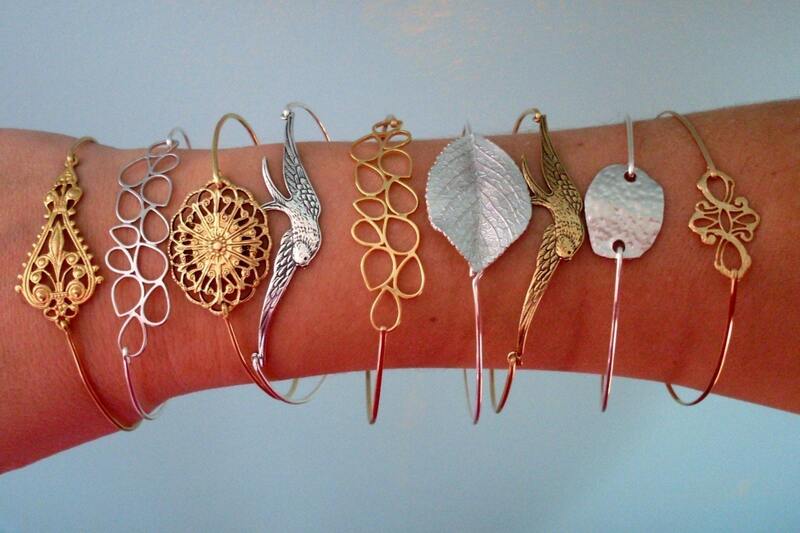 I can also make this bangle with choice of 14k gold filled or sterling silver band. 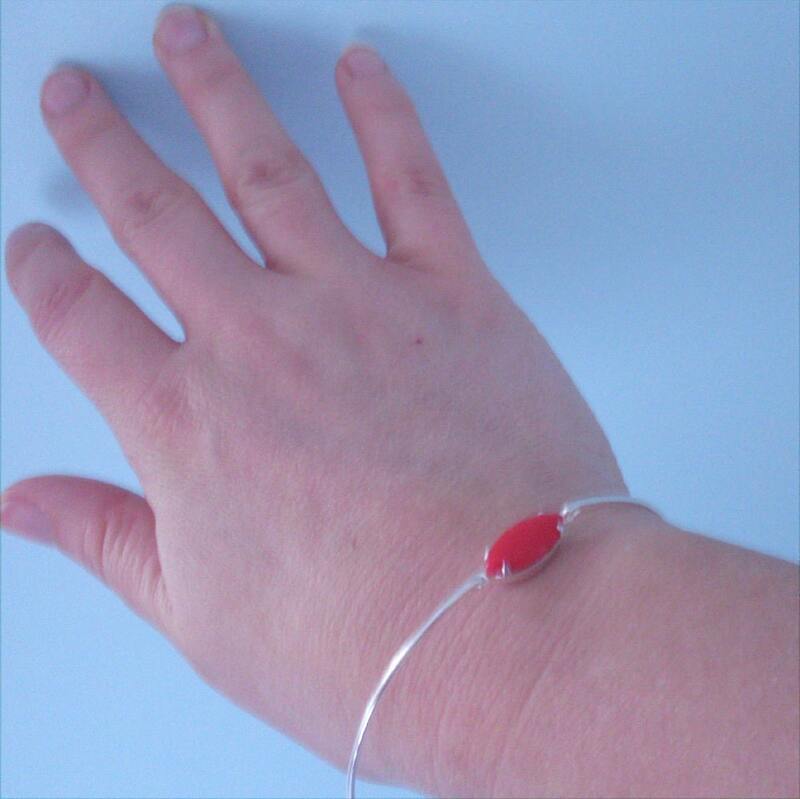 If you would like either of these options for your lipstick red bangle bracelet, select from options when ordering.